The SMU4032 is the only mobile switching module available in the USB format designed for measurement accuracy. The SMU4032 allows you to maintain 7-1/2 digit measurement accuracy across your switching architecture. 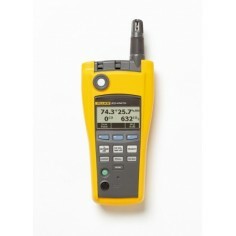 The SMU4030 provides general purpose switching for a lower price. The SMU4032 Switch is the only switching module for USB specifically designed for making measurements with a precision multimeter. No other mobile USB switch maintains the signal accuracy necessary to make 6-1/2 or 7-1/2 digit measurements. The SMU4032 uses an isolated structure, high accuracy components and optical isolation, minimizing noise and keeping thermal EMFs less than 1microVolt. 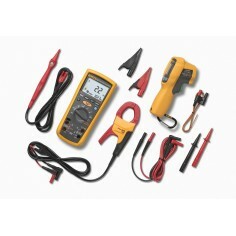 These low thermal EMF errors make it possible to make accurate measurements of voltages in the milliVolt range and resistances in the milliOhm range. Other USB switching modules don"t specify their thermal EMF voltage errors because their poor accuracy would become obvious. The SMU4032 is a 35-channel relay scanner that is designed for use in applications requiring precision signal switching. Each of the relays can be controlled individually, or automatically routed using pre-defined configurations. All switching actions are performed within a single actuation time of less than 5 milliseconds. The SMU4032 switching module Weighs less then a pound, and has dimensions of 5"" X 7"" X 1.3"". The USB switch provides cost effective and concise automated measurement switching capabilities, without compromising performance. 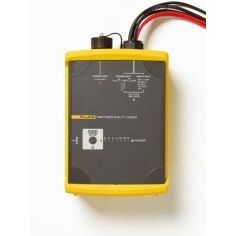 The software included with the SMU4032 contains a simple, quick and clean installation package. The installation is small, using less then twenty-five megabytes of disk space, and it does not make changes to any of your S/W tools, or your computer environment. and does not put extensive hooks into your operating system or other installed programs. Once this Plug-and-Play package is installed, a graphical control panel (seen below) is available to try out your SMU4032. All of the relays are depected on this virtual front panel, with additional control functions in the top menu. You have the option to control the SMU4032 without doing any programming or configuration straight out of the box. The SMU4032 supports automated control in a wide variety of programming languages. Signametrics has no vested interest in which software package you use. Our support include the following languages C, C++, C#, .NET, Visual Basic, Mat Lab, Delphi, LabView, LabWindows/CVI, ATEasy, HPVee, and Microsoft Excel with VBA. Operating systems include all Windows flavors, 32bit and 64bit Linux and INtime®. If you have questions about software support, or whether signametrics supports another language or operating system, contact Signametrics . For customers who dont need the high accuracy of the SMU4032, the SMU4030 offers all the features of the SMU4030 but at a lower accuracy, lower voltage ratings, and a lower price. While less accurate then the SMU4032, the SMU4030 does have much lower noise then its nearest comparably priced competitors. For ease of use, three optional modules are available. The standard Screw Terminal Block is the SMX40, the Screw Terminal Block with Isothermal structure and block temperature sensor for use with Thermocouples is the SMX40T, and the loopback test module is the SMX40L.